Christmas Ornaments are in! 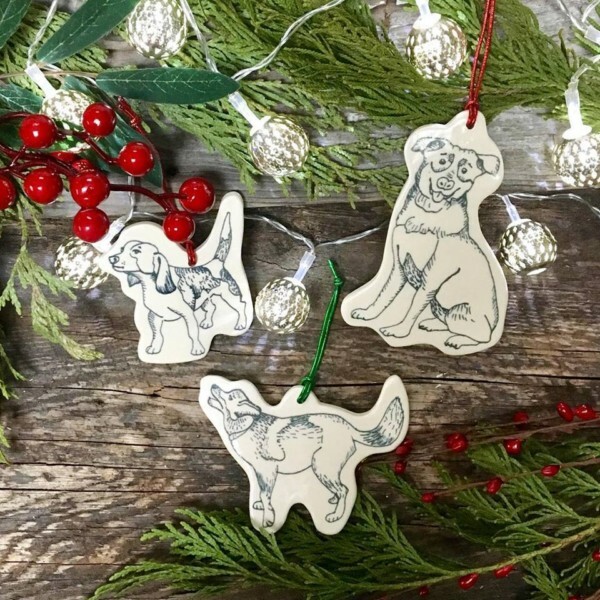 We have been so lucky to have a very generous donation of handmade ornaments of some of our dogs, Bella the lab, Cooper the beagle and Cherry the border collie, lovingly made by Krystal Speck of Krystal Speck Ceramics. This is one very talented lady who has a Facebook page that is not to be missed! www.facebook.com/krystalspeckceramics. She is also mom to a Carter’s dog. The ornaments are $20 each. Please email us to place your order. Limited quantities so don’t delay!